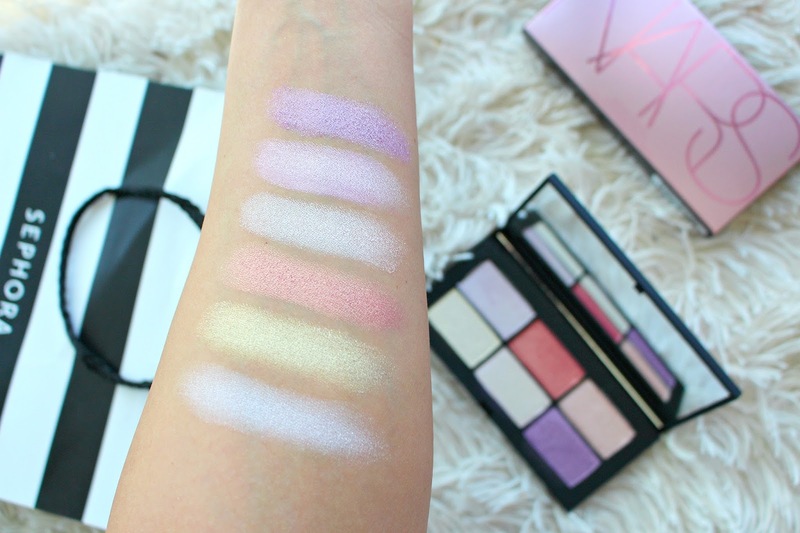 NARS has been launching some absolutely fabulous palettes lately, I recently reviewed the NARS Wanted Palette if you'd like swatches. 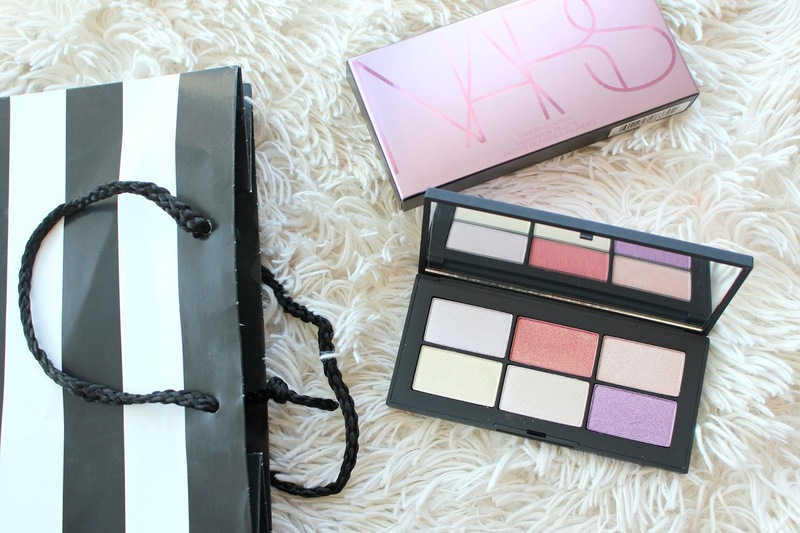 The latest addition is the NARS Danger Control Eyeshadow palette which is a limited edition Sephora exclusive. 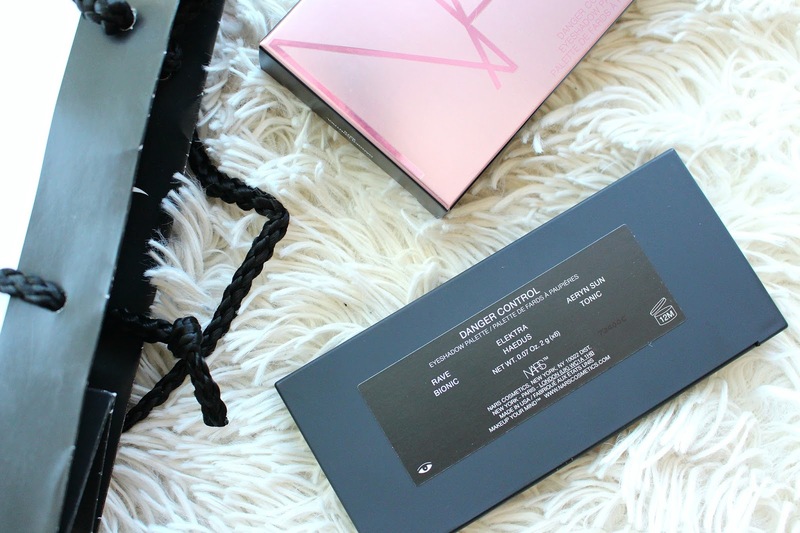 "Danger Control is NARS Cosmetics’ newest limited edition eyeshadow palette. 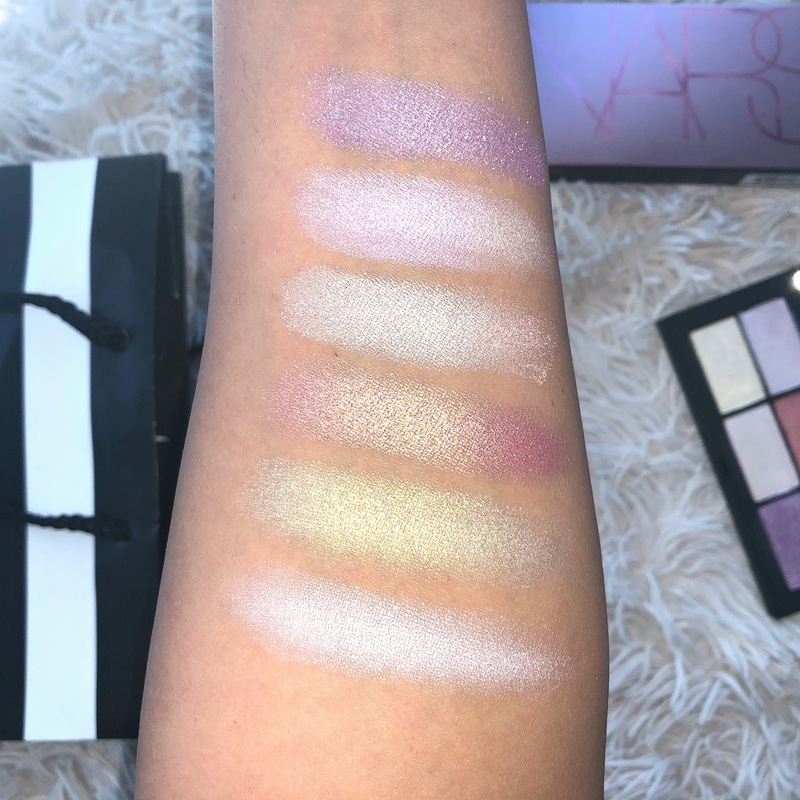 Featuring six intense holographic and glitter shades, the palette delivers high-impact, ultra-pigmented shadows that glide on effortlessly and leave a velvety finish." 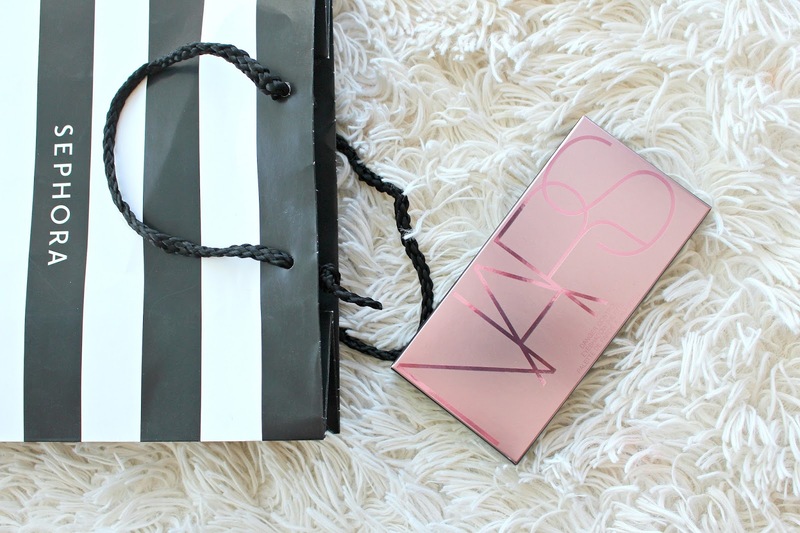 The NARS Danger Control Palette will retail for $62 CAD with a value of $172. It contains 6 shades, all that are either a shimmer or iridescent. They contain pomegranate seed oil, vitamin E and ginkgo biloba that help to create a smooth base on the eye. These shadows can be used wet or dry depending on the finish you hope to achieve. So far the formula seems great! More than likely you'll need to lean on another palette for a complete look but moving into spring (eventually) these are gorgeous shades. 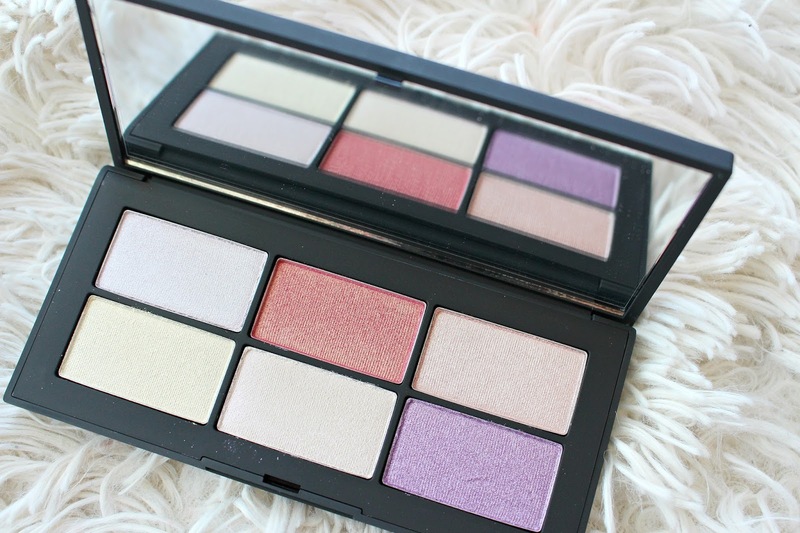 *This palette was sent for my review, all opinions are my own. Links are affiliate. Clarins Open Spa Review + Giveaway!